I have always loved gardening. When I worked as an NHSmanger, it proved to be a great stress-buster. Upon my retirement, as a carer for my parents, I could let off steam by tending their lovely garden, full of Rhododendrons, just like Castle Drogo. Last year, finding myself with time to spare, following their sad demise, I paid a visit to Castle Drogo. I was immediately drawn to the garden feeling there was something special here. I approached Laurence (volunteer co-ordinator), to ask if there was a vacancy for a volunteer in the plant centre, I was struck be the friendliness of everybody I met. I started volunteering in April last year; initially my duties were to tend the plants in the plant centre. Laurence asked me if I would be willing to undertake conducting a garden tour to add to our visitor’s enjoyment. As I can talk for England, I was keen to give it a try! Within 2 weeks, I had boned up on the history of the Castle and the Gardens and nervously conducted my first tour. I need not have worried, the people I took around the garden were lovely and their positive comments gave me confidence. Now I work on a Monday, there is a team of 4 of us, Mary, Helen, Julie and myself. 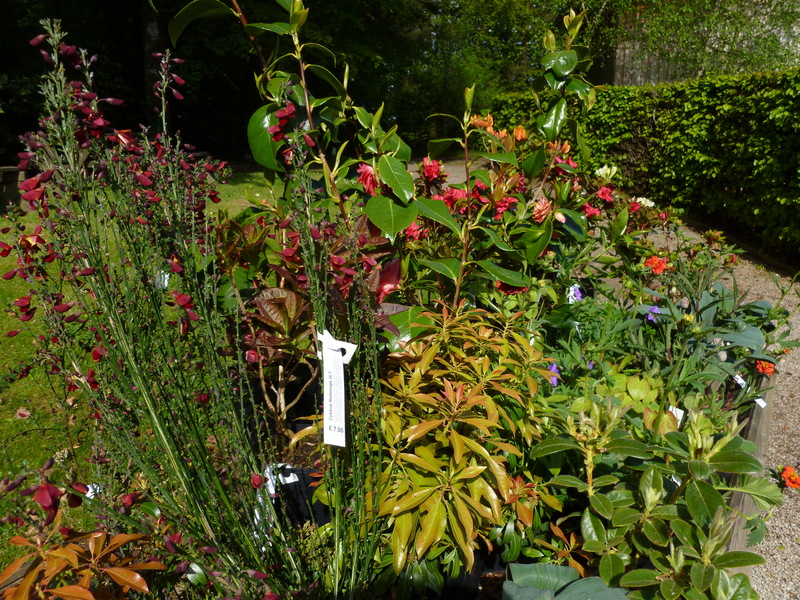 Collectively we are responsible for looking after the plant centre plants, weeding watering & merchandising, making the plants look as good as possible, so that hopefully, people are tempted to buy. In addition we conduct up to 2 garden tours a day. We tell people all about the gardens, giving a brief history of how it all came to be here. I love my day each week at Castle Drogo, from the start I have felt well supported by both the staff and volunteers. I hope to continue in this role for many years to come. I retired to the South West in the autumn of 2005 and was looking for something to do with my spare time when I saw an advert in the local press for volunteers at Castle Drogo. I was not sure in what area I wanted to volunteer. Thought maybe the gardens, but when I came to Castle Drogo and had a chat with Julie and Michael they asked me if I would like to help out in the office and that is what I have been doing for the past few years. My role has evolved over this time with changes of staff and different ideas about what is required of me. I started out helping out with admin work relating to volunteers, doing a lot of photo copying and sending out letters. I then became involved in keeping the various handouts and documents up to date and answering the phone as I was the one in the office on a Saturday. I have always been involved with logging the visitor comment cards onto the computer and keeping the staff rotas up to date. These days I work with Ros and she leaves me little notes of things that need doing on the Saturdays I come in, things that take time and are easy to do in an office when it quiet on a weekend. I enjoy coming to Castle Drogo on a Saturday, and helping out when I can with the various events that take place over the year. After studying Ancient History and Archaeology at University I wanted to continue learning and using my degree whilst gaining experience in the heritage sector. I knew of the National Trust’s brilliant reputation for valuable and rewarding internships, and was delighted when I saw one advertised at Castle Drogo. Being an intern with the National Trust has exceeded all my expectations, and I feel particularly privileged to have joined the Drogo team during this period of unique conservation and restoration. 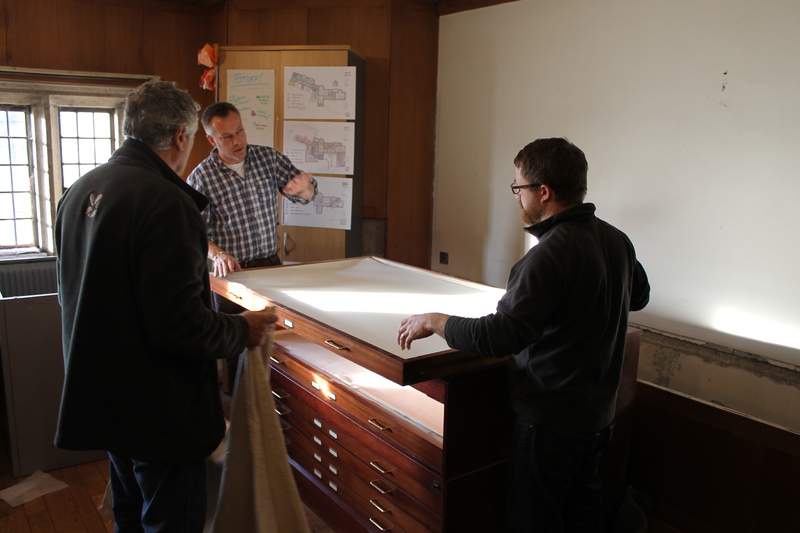 As the Evaluation Intern my role has been to provide detailed analysis and on-going evaluation to help measure the success of the building project at Castle Drogo. This has involved the evaluation of the project management, conservation management, local community engagement, interpretation, on site visitor experience, training and skills, and volunteer involvement. As such I have been lucky enough to work with all departments at Drogo, not only learning about the important work that goes on but also meeting the wonderful people that keep it all running. For example I have enjoyed spending days with the Rangers, the House Team and at Visitor Reception where I have been able to talk to staff, volunteers and visitors about their experiences at Drogo. This has also given me a good understanding of the history and care of the castle, garden and estate. I have also really enjoyed getting involved with community projects (such as the Spring Fling) and attending and evaluating training sessions. I feel like the National Trust is actively invested in supporting and developing their interns, at whatever age or whatever previous experience they might have had. I have received so much amazing support from the team here at Drogo, and the experiences and skills I have gained will be invaluable and instrumental in shaping my career path ahead. I would recommend it to anyone! “The Castle was trying to sort out some of the paper archive the property has accumulated over the years, much of it research by previous volunteers, little of it original documents. I was looking for something to do apart from room guiding and was asked if I would like to help with this. I said ‘Yes’ and have been involved for about 5 years now. The Archive still needs loads of work on it and other volunteers will, when they have room, be taking this over. When the Castle started to decide what it wanted to do for the commemoration of the start of WW1 I was asked to research what had happened to the workers on the building who had gone off to war. How had they fared in the war and had they come back? I found one who didn’t and his sad story was attached to the figures walking through the wall in the service corridor and now in the chapel. I have also done research into Fingle Mill, the ruin near Fingle Bridge. It has answered some questions but raised others, as research often does. Both of the above pieces of work could be on going and I hope to be able to do more but am now involved with The Plans, and can often been found making folders in a little room at the end of the nursery corridor, along with a little team of plan protectors. 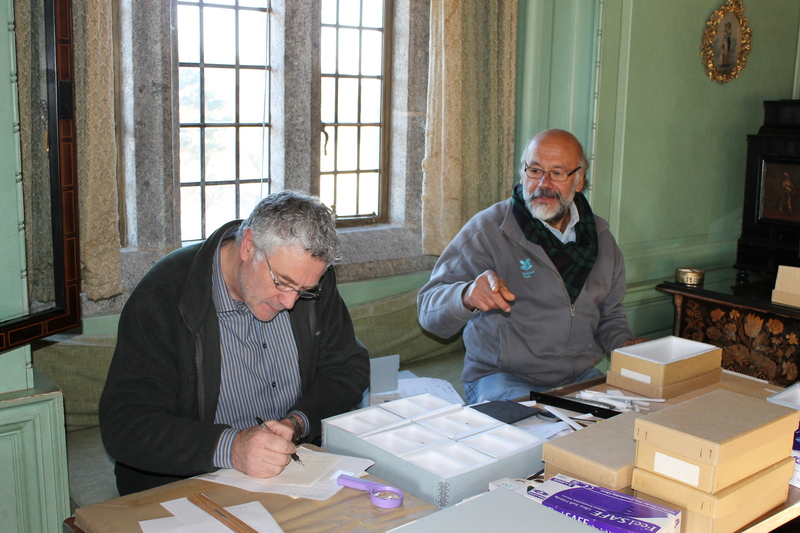 This week is National Volunteers week and here at Castle Drogo we wanted to share the stories of some of the more unsung volunteers who are ofen working behind the scenes.